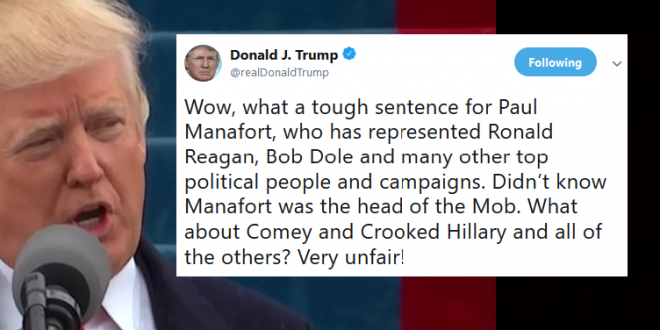 Trump Wails About Manafort's "Very Unfair Sentence" - Joe.My.God. And of course, what would a Trump tweetstorm be without mentions of Crooked Hillary, James Comey, and “all the others” conspiring to bring down the self-described most successful president in history. —I hope that doesn’t happen to me. —do they know about my mob connections?